We begin at 6:00 in our cafe by singing a few worship songs together. 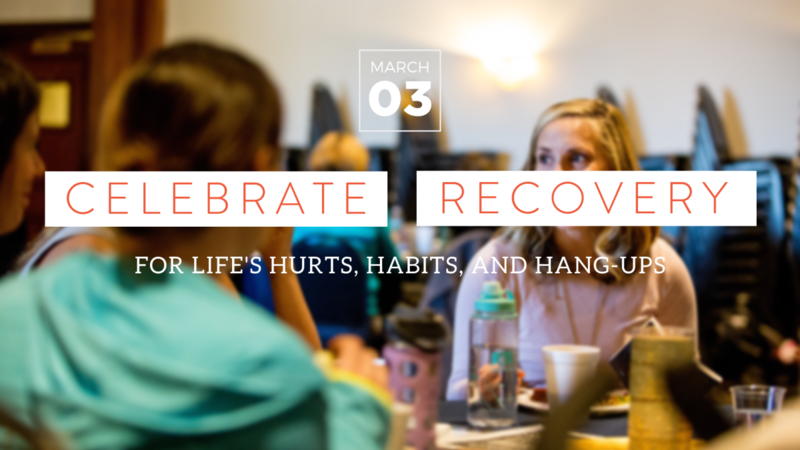 After this, there is either a lesson from the Celebrate Recovery curriculum or a testimony. When this is over, newcomers stay in the room for an informational meeting to find out more about CR and if it is a good fit for them. Those who are not new attend an Open Share meeting which are gender specific where it is safe to share without fear of someone trying to "fix" you. When this time of sharing is over, we gather back in the cafe for coffee, snacks, and fellowship. We wrap up before 8:00.